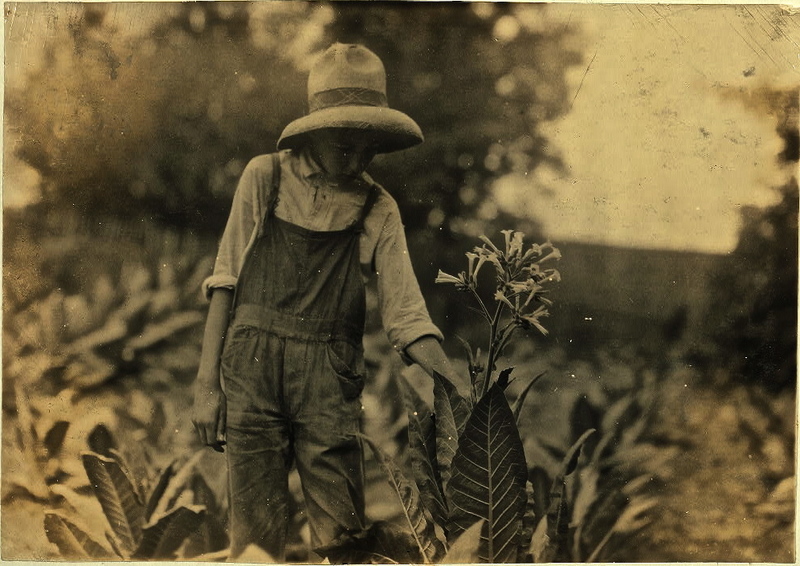 “George Barbee, 13 years old topping. . . . Nicholas County, Kentucky” by Lewis Hine, August 1916, via the Library of Congress Prints and Photographs Division. Tobacco plants have to be topped and suckered in order to produce good leaves for market. 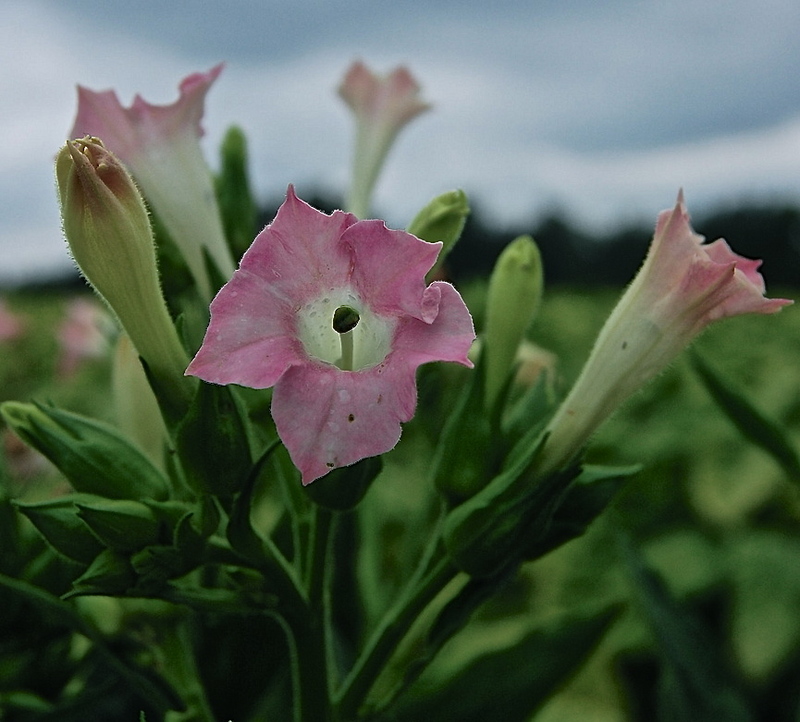 The flowers of Nicotiana tabacum are pink. Photo by Donald Lee Pardue, via flickr. A short documentary about traditional tobacco growing methods is here. The minute you see Hine’s name, a sweet scene turns ominous! Wisconsin used to be a rather big tobacco-growing state. Not so much anymore, but you still see fields of it and lots of tobacco barns dot the landscape. They are a unique design and easy to recognize once you know what to look for. I actually sorted through about a dozen of Hine’s photos of children in rural Kentucky and put together a post, but I’ve been rather conflicted about it. I liked the pictures because they showed children performing important farm tasks and making significant contributions to their families’ welfare and culture. But, of course, Hine took them to show that the children were not in school. However, his own captions showed that they often did go to school — but also took periods off to help with harvests. His photos of factory children are more shocking, of course. Southern Maryland, where my daughter went to college, has some beautiful old tobacco barns and fields, but probably not for too much longer. This photo did remind me, however, that I need to get some Nicotiana sylvestris seeds going as soon as possible.